Yet again, I blame others! As promised, here's a comic of the Deep impact series. At four in the morning! Edit:I just noticed that I have mesden facing the wrong way in that bottom panel, crap. Last edited by Premmy; 05-05-2006 at 03:52 AM. I've been practicing drawing females lately, as I just was not very good at it. Specifically, I've been drawing Mauve Mage (It was either her or Silly Kitty, but just-plain-human girls come up far more often than catgirls). After many, MANY tries and a good deal of helpful tips and such from CelesJessa, I've managed to produce a drawing that looks properly feminine and even has that elusive Mauve charm. The folks in chat seemed to like it, so I thought I'd share. Hahah! I actually have something to contribute to this thread once again! Boy, does it feel good. Okay, on to business. This was actually a request done for a certian cobra of the flare persuasion.... Anyways, this is her in her "slime girl" form. There is quite a history on this one. Okay, after Flare requested, I immediately started drawing. As always, I had a couple of failings and took a break. This tends to happen quite too often... Anyways, after awhile, I got the sketch version of the picture below. Then, after outlining it (which took two tries with that blasted Pen tool...), I added the flat colors. I tried to make it as orange-reddy as I could. This was all done with a mouse. Click, click, click! That was the most clicks that I've ever had to do in my life in such a short time. I find it to be worth it after all the hard work. I also thought it'd be nice to add that little bunny thing on her left (viewer's right). It was made purely on Photoshop. 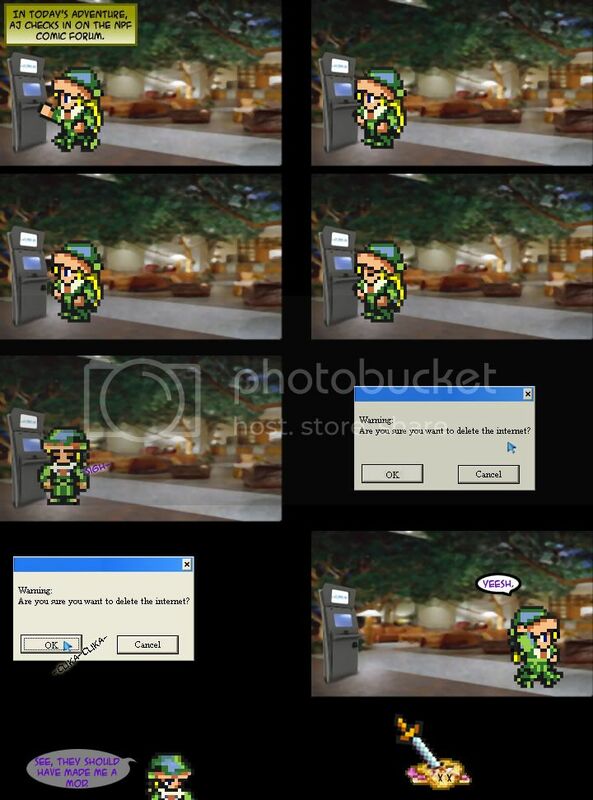 If you couldn't figure out whats going on in the fourth panel, read it again till you get it. The server time is now 08:56:21 PM.